If you resolved to shore up your privacy protections in 2019 but have yet to take action, check out this article on Attorney at Work. Written by Anne Haag (the CBA’s own Practice Management Advisor) and former CBA LPMT Director Catherine Sanders Reach, it includes 7 steps you can take today to increase your privacy. Anne Haag is a Practice Management Advisor at the Chicago Bar Association. 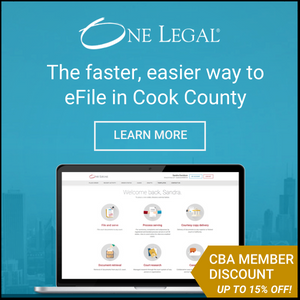 Anne worked as a patent paralegal at a Chicago IP firm before arriving at the CBA in 2017 as the Law Practice Management and Technology department’s trainer/coordinator. She is also a certified crisis counselor and volunteers as a p atient advocate in the ER. Catherine Sanders Reach is Director for the Center for Practice Management at the North Carolina Bar Association. Formerly she was Director, Law Practice Management and Technology for the Chicago Bar Association and Director at the American Bar Association’s Legal Technology Resource Center. Previously, she worked in library and information science environments. Catherine is a Fellow of the College of Law Practice Management and Co-Vice Chair of the 2019 ABA TECHSHOW Board. Follow her @catherinereach. Reblogged this on CBA's @theBar.